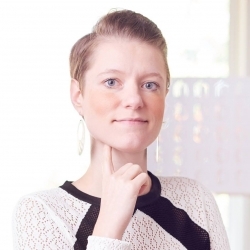 Marcella was in born in The Hague in The Netherlands, she is 30 years old and she helps people to achieve their goal and live from their passion. Los Angeles, CA, September 22, 2018 --(PR.com)-- If there is a question which can't be answered by Marcella, then she will make sure that she will receive the answer. Marcella was in born in The Hague in The Netherlands, she is 30 years old and she helps people to achieve their goals and live their passion. For more than 15 years, Marcella Smeele has been and will always be determined to help musical artists all over the world to design the career they've always wanted. It all started in 2001 when she saw herself and other musical artists struggling with their career. There was no way possible that she would settle for these struggles. She was determined to succeed no matter what; by reading articles, books, visiting seminars, and readings, to attending 1-on-1 coaching programs of successful business managers and top leaders. Marcella Smeele is an entrepreneur and helps people around the world to achieve their goals and live their passion. She works hard every day to help these people (new ideas, new techniques, it's constantly evolving). She helps them to define their goal(s), takes all the steps that are needed to achieve the goal, gives different perspectives to see what works for them. The service is for anyone who want to make a change in their career. Every day she asks herself new questions to help these people. The answers to these questions turn into actions. She focuses on actions which will work the best for her clients. She has been speaking at SXSW, the music conference in 2017 and 2018 in Austin Texas and worked with music artists like Noah Cyrus, Clean Bandit and Anne-Marie. Noah Cyrus: "I felt very vulnerable when it comes to my voice. Marcella helped me to get to the cause of the problem. When I knew the cause, I felt liberated to sing again." Clean Bandit: "Performing is for us a combination of two things: 1. Showing our music to the world and 2. Anxious to know what the audience will think of our performance. Marcella gave us a new perspective so we can enjoy giving our performance." Anne-Marie: "Marcella helped me to create more visibility to new fans. She is ambitious and persistent." Visit https://synergyformusic.com for more information. Introduce yourself and ask Marcella anything via the website.